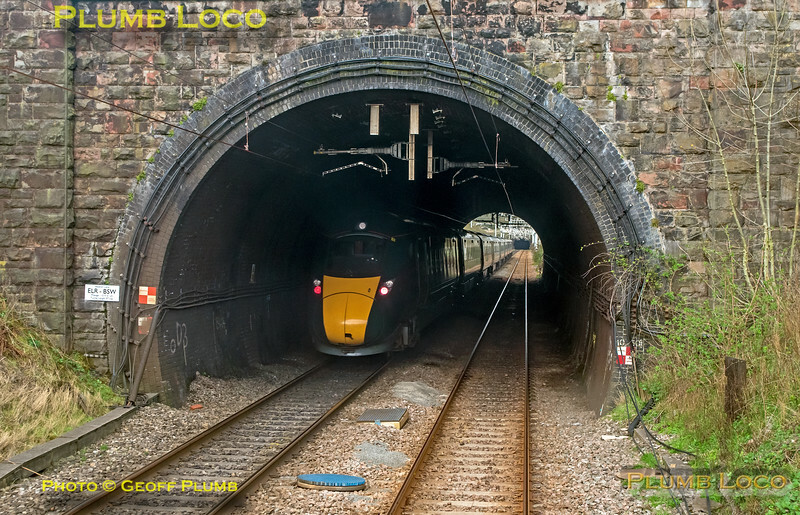 As the BLS "Marching Crompton II" tour train emerges from Ableton Lane Tunnel (97 Yards), an unidentified GWR IET heads in the opposite direction down the grade into the Severn Tunnel in the distance. This was 1B10, the 07:45 from Paddington to Port Talbot Parkway, running five minutes late. 09:19¾, Saturday 23rd March 2019. Digital Image No. IGMP45335.